Designed by the renowned architects Skidmore, Owings and Merrill the 46,000 m² building forms a part of the internationally acclaimed development in the London Docklands by the Canary Wharf Group. Upon completion the Canary Wharf complex will cover a total of 1.3 million m² consisting of fifteen office buildings, a retail centre, a conference and banqueting centre. 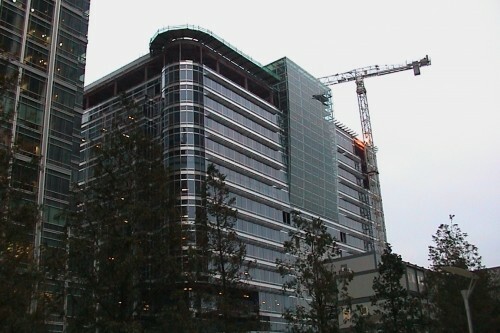 All office space already in existence – approximately 45% of the development – is leased as is the majority of the space under construction. Tenants of London’s burgeoning business district include such names as Morgan Stanley, Credit Suisse, Citigroup, HSBC and Novartis. The state-of-the-art building DS4 has already been pre-let to the McGraw Hill Group, a publishing company with 18,000 employees worldwide and a turnover of USD 4.3 billion. Due to its rapid business expansion in Europe the group will create a new headquarters facility at the Docklands. In particular the publishing house will concentrate its financial activities, currently spread over London, at Canary Wharf by consolidating all employees of the company’s financial services and business information operations there, including Standard & Poor’s, Business Week and Platt’s. The glazing design comprised the roof glazing as well as the vertical glazing regarding the wall. The roof glazing consists of insulated glass panels (8 mm / 14 mm Air Cavity / 2 x 6 mm) with dimensions of approximately 3000 x 1500 mm. 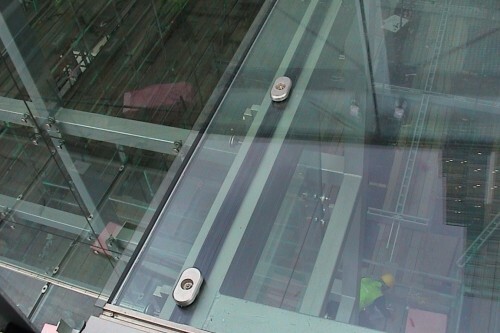 These glass panels generally are supported circumferentially for “pressure” load cases. The observe the allowable deflections due to wind suction the glasses are supported by additional pressure plates at the long edge. 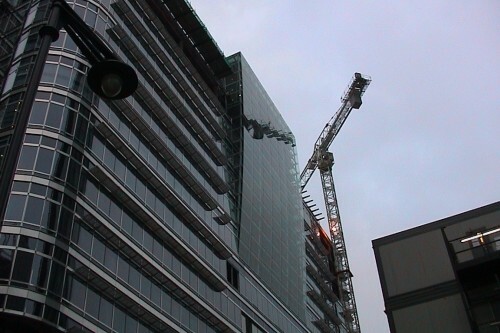 The roof glasses adjacent to the vertical wall are concentrated supported for “pressure and suction” load cases. 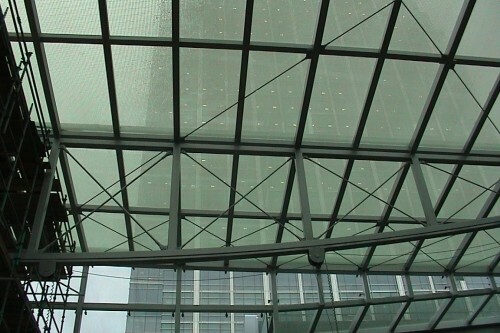 The vertical glazing (1 x 15 mm) are concentrates supported at six points. The dimensions of the decisive plate are 2977 x 2525 mm.